In this Pinterest Traffic Avalanche Review, I’m going to give you the nitty gritty details of exactly what kind of results I got from taking this course—including actual numbers and screenshots of my traffic! *This post has affiliate links, which means I receive a commission if you decide to purchase Pinterest Traffic Avalanche—at no extra cost to you. You can check out the Pinterest Traffic Avalanche course information page here. Update 2/9/2018: Check out January’s traffic! 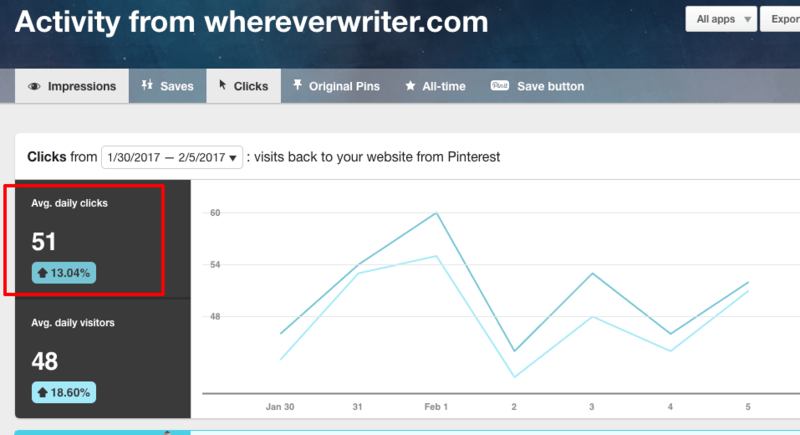 I combined what I learned in Pinterest Traffic Avalanche with the scheduling power of Tailwind and saw awesome results! 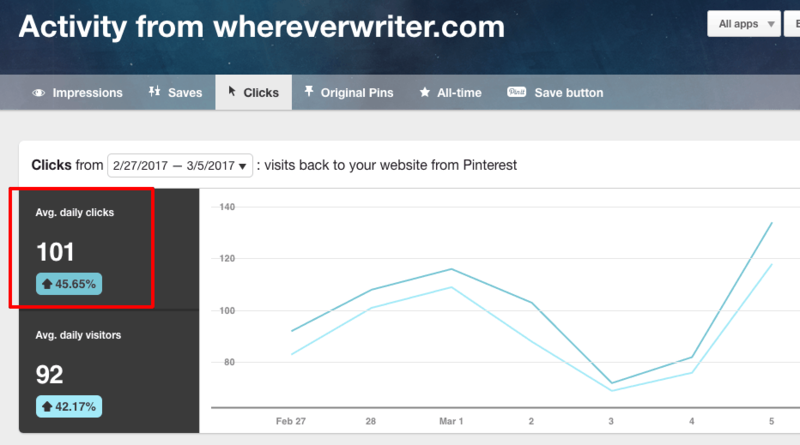 UPDATE 4/6/2017: My Pinterest traffic has now 5X’d! From average of 50 clicks per day in February to more than 250 clicks per day now! ?? You know that sinking feeling when you fork over your hard-earned cash for an online course that leaves you with little to show for your investment? That’s how I felt BEFORE I purchased Pinterest Traffic Avalanche. Savvy bloggers know Pinterest has unmatched potential to drive insane traffic to your blog. So back in June 2016, I bought a popular and pricey Pinterest course because everyone online seemed to be raving about it. The course itself wasn’t bad, it just wasn’t great and it wasn’t getting me big results. I completed the course and implemented its tactics, and while my Pinterest account DID grow, it was nowhere near the amount I expected. Then, after November 2016, my growth stalled. I was pinning about 40 times per day and spending HOURS designing pin graphics and curating quality pins (it took so much time I finally had a Virtual Assistant curate pins for me). So in February 2017, when I heard about the new Pinterest Traffic Avalanche course, I was extremely skeptical. Someone posted it in one of the private blogger Facebook groups I’m in, and because I was so desperate to get more traffic from Pinterest, I took a look. I immediately Googled “pinterest traffic avalanche review” but could find NOTHING about it. Nada. Zip. On the sales page, Alex and Lauren showed a screenshot of their blog’s backend, which verified what they claimed: Their blog gets more than 500,000 views from Pinterest a MONTH! That is insane, guys. Insane. This is straight from the Pinterest Traffic Avalanche sales page. It shows traffic to Avocadu.com, and the sales page says it’s all from Pinterest traffic. 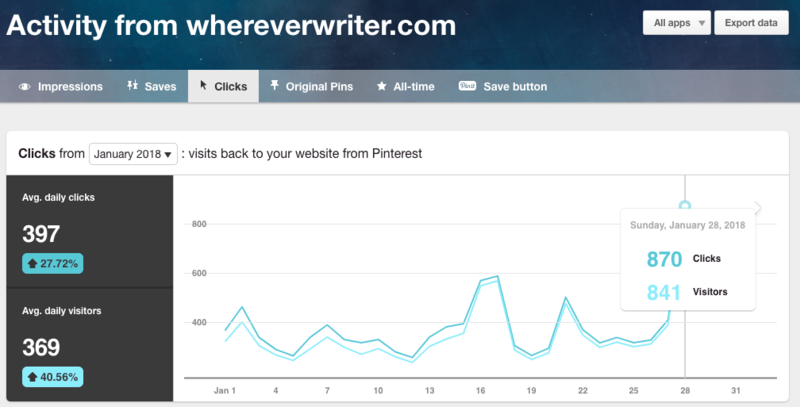 Finally, at around 9 that night, I broke and decided to take a chance and buy Pinterest Traffic Avalanche. Besides, it offers a 60-day refund. I was DESPERATE to crack this Pinterest code and grow my traffic from Pinterest, so I figured I could take a chance and invest in this course that looks SO promising. I was practically drooling all over their sales page. But I was too late. The offer had ended. I was crushed. So I emailed the course creators explaining what had happened: I wanted to buy the course before the day ended, and since it was 9 p.m., the day still technically had not ended! Lauren was so gracious and honored the offer. They let me into the course after I completed the payment! Pinterest Traffic Avalanche is divided into about nine modules complete with videos, some text, links to resources, and downloadable files like spreadsheets to help you plan your pinning schedule. The course is completely self-paced, so you can go at your own speed and carve out your own time to complete it. I’ve used two paid Pinterest education products before, a course and a guide, and I noticed much of what’s included in these you can find for free on Google or inside blogger Facebook groups. But that’s not the case with Pinterest Traffic Avalanche. Again, I’ve been Pinterest obsessed since June 2016, buying products, constantly Googling tips, and asking questions about it in Facebook groups. Even so, there were so many tips in Pinterest Traffic Avalanche that I didn’t know until I took the course. The Ninja Secrets section blew my mind, and I believe Alex is right when he says that section alone is worth the whole price of the course. Alex and Lauren go extremely in-depth on Pinterest SEO, way beyond the usual “type keywords into the Pinterest search bar and see what suggestions come up.” In fact, after implementing their SEO strategy into my Pinterest boards, many of my boards now rank in the FIRST position or first row for my target Pinterest keywords! ?? Alex and Lauren are transparent and show the behind the scenes, including their actual dashboards. This helped me see proof of the insane traffic they’re getting from Pinterest, and I was able to deduce a few other things from the information on their stats. They explain why it’s a waste of time to follow the oft-quoted 80/20 rule (pinning 80% other people’s pins and 20% your own). Lauren convinced me to STOP pinning other people’s content! She pins 90-95% of her own content, which totally makes sense. This freed me up to finally stop curating hundreds of other people’s pins, and mainly promote my own content which helped spike clicks to my site! Beyond Pinterest, they teach you solid marketing strategies! They describe in detail things like how to build your email list and how to write compelling copy. Important things to know if you want to grow your blog and income! I’m all about being upfront with you guys, so of course I want to share what I didn’t like about the course. Alex and Lauren dismiss Google as a source of traffic, and I think that’s a mistake. In the course, Alex says it’s unrealistic to try to optimize for Google AND Pinterest. I’m going to have to respectfully disagree with him here. I believe (and have seen proof) that you can and SHOULD optimize for both Google AND Pinterest. Pinterest is nothing compared to the powerhouse that Google is, so you want to make sure you get on Google’s good side with things like proper SEO. There are no facilitated discussions in the private Facebook group included with the course. Alex and Lauren do a great job of quickly responding to posts in the Facebook group, and so far all my fellow classmates are very supportive and respectful, but unlike other private Facebook groups I’m in that came with online courses (I told you I buy a ton of online courses! ), Alex and Lauren do not post “threads.” What I mean by that is usually in Facebook groups, the admins will assign particular engagement threads for certain days. For example, Monday might be “Share Day,” and everyone in the course can share a URL in the comments of the post. Or Wednesday might be “Collaboration Day” and everyone in the course can comment with what they’re hoping to collaborate with someone on. For many, this might not be a big deal, but I’ve found group threads to be helpful for boosting traffic to my blog in conjunction with a particular course I’m taking. Alex and Lauren are not your typical Internet marketers or metabloggers (bloggers who blog about blogging). Alex is a personal trainer and Lauren is a CPA. They struggled A LOT when they tried to build their online business and couldn’t get traffic to their health blog. They worked their butts off to figure Pinterest out and now have a healthy living account on Pinterest with more than 95,000 followers that drives more than 500,000 views to their site a MONTH! They have two sites, Avocadu.com and Createandgo.co. 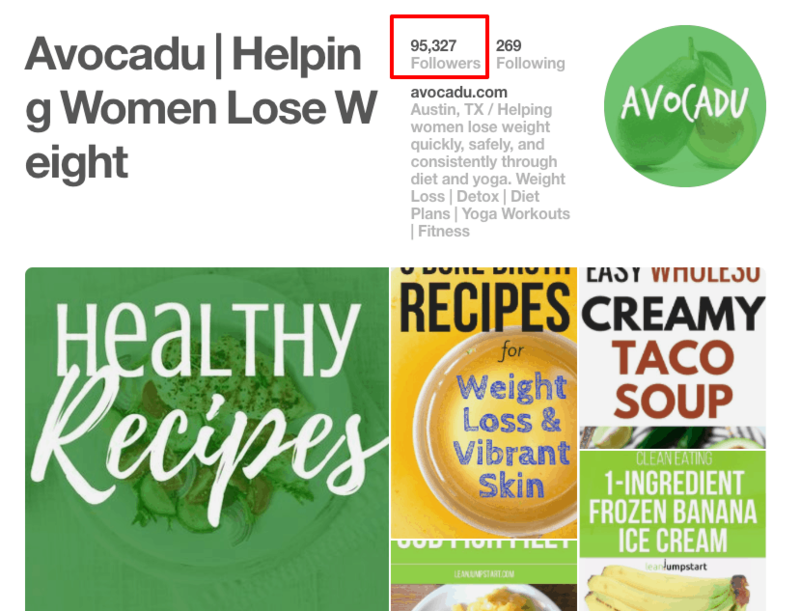 The proof is in the pudding: Alex and Lauren’s health site Avocadu.com earned more than $28,000 in January 2017 ALONE, with more than 755,000 monthly views largely thanks to Pinterest. The Results? My Pinterest Traffic DOUBLED in 4 Weeks! I devoured Pinterest Traffic Avalanche in 3.5 hours over the course of 2 days. I took copious notes and then over the next few weeks implemented the tactics. The total amount of time I spent on Pinterest in February? 8.5 hours. Contrast that with the 10 hours I spent on Pinterest in September with few results! I want to emphasize to you that these Pinterest strategies take time to implement and see results from. So while I’m definitely not getting thousands of clicks a day from Pinterest, I have DOUBLED my Pinterest traffic in just 4 weeks—so I am 100% confident I’ll be seeing even bigger growth in the coming months thanks to Pinterest Traffic Avalanche. 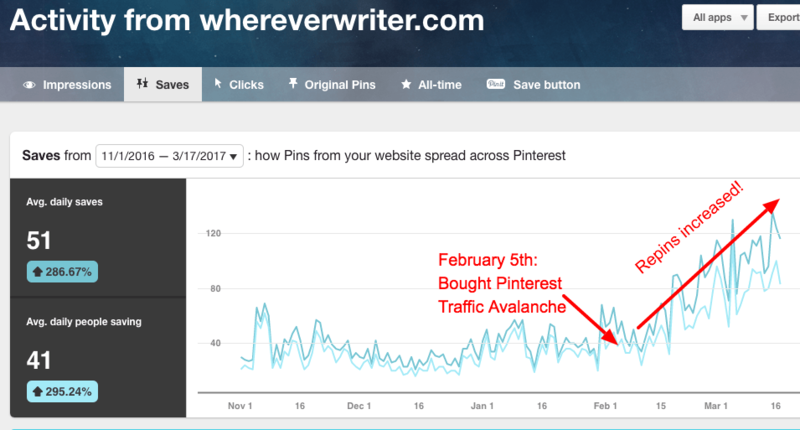 Will Pinterest Traffic Avalanche Work for You? You are 100% committed to making Pinterest the priority. I’m serious. I deactivated my blog’s Facebook page, deactivated my Twitter account, and disabled my Instagram account so I could focus on what REALLY drove traffic: Pinterest. This was huge and helped me put effort toward only what was working. You have a lot of blog posts. To have explosive growth on Pinterest, you need to pin A LOT. 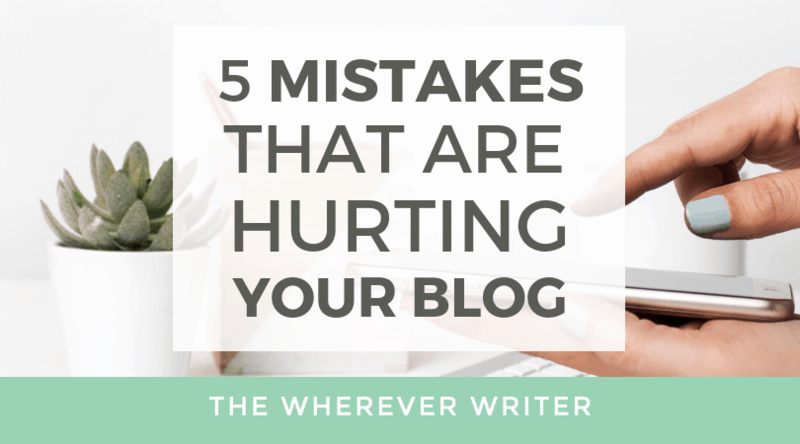 So the more blog posts you have to pin, the better. If you only have a few blog posts, then you’ll run out of original content to pin and won’t get much traffic. You intend to make money from your blog. Unless you’re monetizing your blog, you don’t really need to invest in a premium resource to grow its traffic. If it’s just a hobby, don’t worry about growing traffic. But if you intend to turn your blog into a business, you cannot overlook the power of Pinterest or the huge return on investment of Pinterest Traffic Avalanche. You’re sick of seeing bloggers brag about the thousands of visitors coming to their site from Pinterest, while your own Pinterest account languishes in the shadows. UM, I’VE BEEN THERE! It’s so frustrating. After implementing what I was taught in Pinterest Traffic Avalanche, the feeling faded as I’m finally seeing big results. You’ve tried other Pinterest products and tactics and STILL haven’t found anything that works! I’ve bought a paid course that was almost double the price of Pinterest Traffic Avalanche. I’ve also used a paid Pinterest guide. I’ve researched HOURS of Pinterest material on Google. Pinterest Traffic Avalanche has been my favorite resource to date because it’s the only one that gave me results for the work I put in. I love Pinterest Traffic Avalanche, and it’s the only paid Pinterest resource I promote. Results matter, and I think mine speak for themselves: This course works and will give you the knowledge to see insane growth in your traffic from Pinterest. I openly disclose that I am an affiliate of this course. Affiliate income is one small way I can keep this blog running. But like I said, I bought another Pinterest course last year that has a HIGHER commission (nearly DOUBLE the commission, in fact!) than Pinterest Traffic Avalanche, but because I cannot recommend it, I am not an affiliate for that other course and I do not promote it. I am genuinely a huge fan of Pinterest Traffic Avalanche and can wholeheartedly recommend it. UPDATE: Just last night I got a RECORD high number of clicks from Pinterest! Thanks, Pinterest Traffic Avalanche! I’ve been using Pinterest since I started my blog in July 2012 and thanks to this course I broke my all-time high record for clicks from Pinterest in one day! This stuff works. Start skyrocketing your Pinterest traffic with Pinterest Traffic Avalanche. To check out Pinterest Traffic Avalanche, visit the course page here. Thanks, Rebekah! Definitely check it out. I’m almost 5 years into blogging and I’ve only recently realized how much traffic Pinterest can drive to my blog for little effort compared to other social media networks. And Pinterest Traffic Avalanche has been the best resource for me so far! I just want to hire someone to do PINTEREST for me! hahaha! I can’t even with all this social media! GIRL, I FEEL you! I actually did that last year because I was spending so many hours curating pins. If you do want to hire someone, Jordana at jordanaraeward.weebly.com is the one responsible for that spike in Pinterest clicks in November 2016 you see in the last screenshot in my post above. She curated pins for me AND created new images for me to pin my own blog posts. Or you can do like I did and get Pinterest Traffic Avalanche and once you lay the groundwork, everything runs smoothly and traffic spikes! I’ve spent about 2 hours on Pinterest this month. Wow, seems like the Pinterest Traffic Avalanche course worked great for you! I’m almost convinced. ;) Not entirely though, I want to give myself some more time playing around with Tailwind, a Pinterest scheduling tool, first. Is that the one you are using? Anyways. 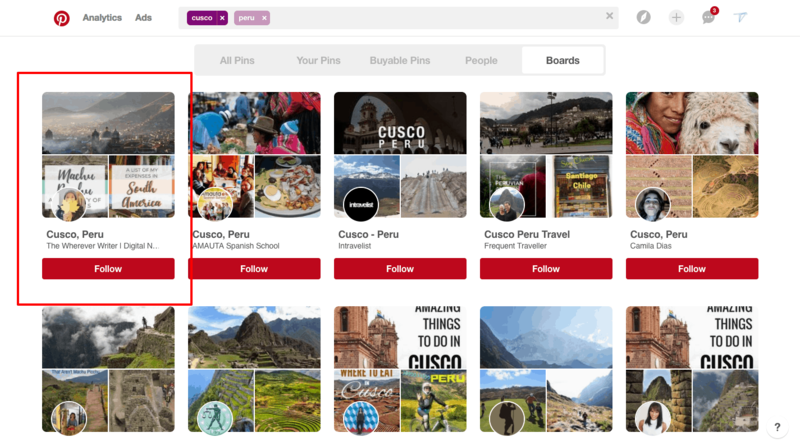 We are using it and are currently trying out their recently launched feature Tailwind Tribes to grow our Pinterest traffic. 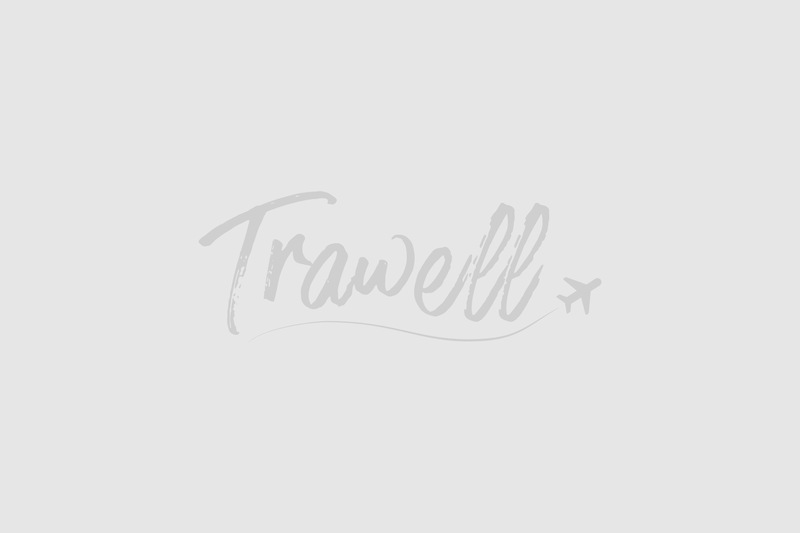 We are looking for travel bloggers to join. If you’re interested, feel free to send me an email! Hey Birthe! Thanks for the comment. I actually use BoardBooster for The Wherever Writer. I use Tailwind for a client though, and I am going to switch to Tailwind soon. I do have a free Tailwind account for The Wherever Writer and will email you about joining your tribe! Let me know if you have any questions for me! Happy to hear you’re preferring Tailwind over BoardBooster. Means we chose the right tool. ;) Looking forward to that email! Great post. Love this review. 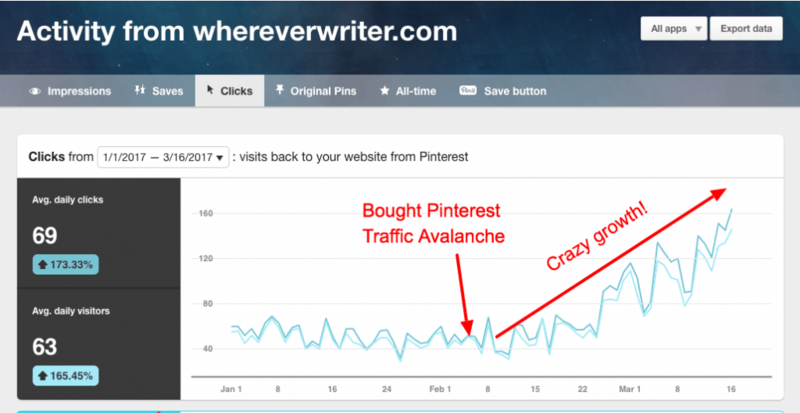 I have also heard about Pinterest Traffic Avalanche and giving it a thought. Quick question: I know the first no of clicks was from 50 to 132 but what was the record number of clicks you got from Pinterest in your Update? Thanks for your comment. I actually hit a record high number again on Sunday (4/2/17) at 245 clicks to my site from Pinterest in one day! What’s crazy is I have not even touched my Pinterest account in about a week. I am confident if I start implementing the techniques again (such as posting more of my own pins), I’ll see even bigger growth. It’s amazing my account is still growing while everything’s on autopilot and I’m not doing anything. If you have any other questions, please do let me know! Hey! I loved the post and super interested in the course. There is two courses on pinterest that I’m looking at to buy but not sure which one. Have you tried the Pinfinte growth course by Melyssa Griffin? If so, how does it compare to Pinterest Avalanche? Thanks for your comment. YES, I bought Pinfinite Growth last year, completed the course, and implemented the tactics. However, I am not an affiliate of that course. I did see an initial growth from PG, but it stalled out at about 50 clicks per day. I admire Melyssa Griffin and think she offers AWESOME advice and I am an avid reader of her blog. But Pinterest Traffic Avalanche is the ONLY Pinterest course I recommend. – Pinfinite Growth is $397. Pinterest Traffic Avalanche is only $197. – My results from Pinfinite Growth were an average of 50 clicks from Pinterest per day; my results from Pinterest Traffic Avalanche are now an average of 230 clicks from Pinterest per day. – Pinfinite Growth’s videos consist mostly of slideshows with voiceovers from Melyssa. 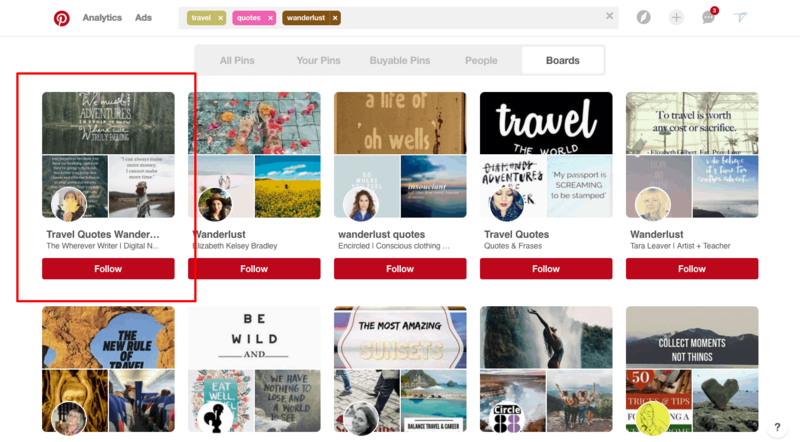 Pinterest Traffic Avalanche consists mostly of screen captures showing you how to do things, such as how to identify what makes a good pin and how to schedule pins in Tailwind. I preferred this. – Both courses are now hosted on Teachable, which is a platform I really like. – Both courses offer 60-day guarantees–full refunds if you complete the course, implement the strategies, but don’t see results. I hope this helps! I really think you’ll love PTA and I hope to see you in the Facebook group! If you have any other questions, please feel free to ask them here. Thank you for the reply! I’m definitely going to think about buying Pinterest Avalanche :-). I’m on a budget and hoping that I can learn everything I need to from the course. No problem! If you’re on a budget, don’t feel pressured to buy right now. Try checking out the Pinterest-related blog posts on createandgo.co. Those are helpful on their own. Then when you’re ready to invest in a course, you can do that with whichever course you decide is best for you. Hope that helps! Hey Amy thanks for the comparison. Am really confused with this 2 course. Hey there! When I used Pinfinite Growth, it spiked initially, but then bottomed out at 50 clicks per day on average. If you’re talking about information and Pinterest strategy, I would say Pinterest Avalanche has MORE information and strategy than Pinfinite Growth. If you’re talking about bonuses, then Pinfinite Growth does come with 10,000 BoardBooster credits, which Pinterest Avalanche does not. Having said that, if I had known about Pinterest Avalanche before (I don’t think it existed at the time though), I don’t think I would have gone on to purchase Pinfinite Growth. Pinterest Avalanche comes with “Ninja Secrets” as a bonus, and these were tips that were NOT mentioned in Pinfinite Growth. 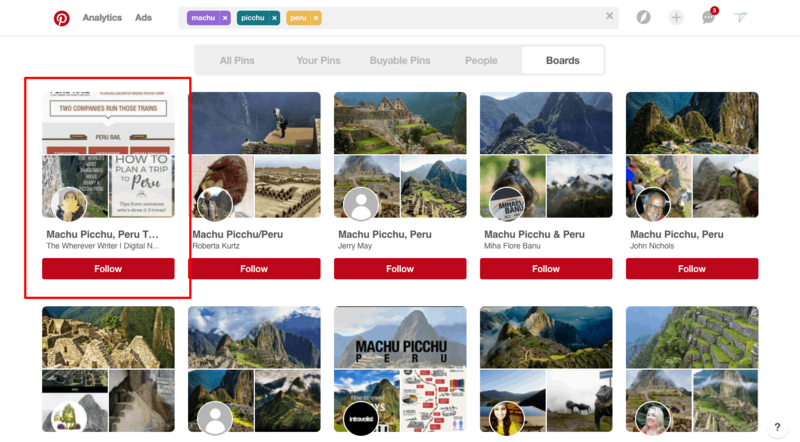 Also, the SEO module in Pinterest Avalanche is way more in depth, and it’s how I got many of my boards to show up #1 in Pinterest search results. Hi, I love your review and it’s the best one for this course so far. I see you love this course and for good reason too. A thought just crossed my mind, so I thought I must share., You mentioned two points about the course that you didn’t like. I think both these points validate their complete belief in Pinterest. That if we up our Pinterest game, we barely need to do the rest which have a lower ROI. The strength of their (above 700k PV/m) results through pinterest ALONE proves this. They live what they teach and I really respect that. I’m gonna buy their course this month. I absolutely LOVE Avocadu and their videos on YouTube. They definitely know their way around the blogosphere and are doing an incredible job. This post has been super inspirational as well – I might try their course! Thanks for the insight! Hi Amy, I am debating between Making Sense of Affiliate Marketing and the Pinterest Traffic Avalanche. Have you taken the Making Sense of Affiliate Marketing? If so did you see results? Honestly, I really preferred Pinterest Traffic Avalanche over Making Sense of Affiliate Marketing. But it depends on your goal, because those are two different classes; one is for driving traffic, the other is for affiliate marketing strategies. If you have any questions, feel free to email me at amy [at] whereverwriter.com. Thank you for this very helpful review. As a newbie in blogging, I am still weighing if I should buy paid courses. I really love pinterest! Everything is so overwhelming. Hope someday I’d get to where you are right now! I just read both your reviews on Making Sense of Affiliate Marketing and Pinterest Avalanche! Thanks so much for giving such detailed reviews. Did I also see that you took the Billion Dollar Blog Club course? If so, how was that one? Right now I have a list of 4 potential classes I want to take: Elite Blog Academy, Making Sense of Affiliate Marketing, Billionaire Blog Club and Pinterest Avalanche ( I took Alex and Lauren’s other course Make Money Blogging for Beginners last month). My budget is tight and these reviews are helping me make an informed decision! thanks again! Hi Alana! Thanks for the comment. No, I have not taken Billionaire Blog Club, but I want too! It’s next on my list, but I’m forcing myself to stop hoarding so many online courses. Haha. I completely understand a tight budget. Since you’ve taken Alex and Lauren’s other courses, you’ve gotten a taste of the quality of their teaching! Keep me posted on if you end up going with the Billionaire Blog Club; I’d love to hear if you like it! Hi Amy, I came across this review while searching for Pinfinte Growth reviews. I was actually on the fence about purchasing it tonight before all the bonuses end. Several of the bonuses would really be helpful. They are The Ultimate Graphics Pack (blog post + social media templates) , Content Upgrade Templates, plus 100 free days of BoardBooster. Do you get anything like that with Pinterest Traffic Avalanche? Also, one of my biggest issues is that she says you have to take your existing Pinterest boards and delete them. I am on a strict diet and spent years finding recipes that I have pinned. I definitely don’t want to delete those boards. If I start a new account, I lose the followers I have for my niche. Is this something that is necessary? Are there strategies to deal with this? I can’t be the only one who doesn’t want to erase their personal pinterest pins! The price of this course (at least I’m hoping it’s still the same in 2018) is way more affordable for me. I am a brand new blogger and fear I don’t have enough content for it to be worth my while. I obviously plan to continue to create more but do you think I should just hold off a while until I have more? In Pinfinite Growth she said she teaches you how to take one post and pin it several times by changing the graphics and words. 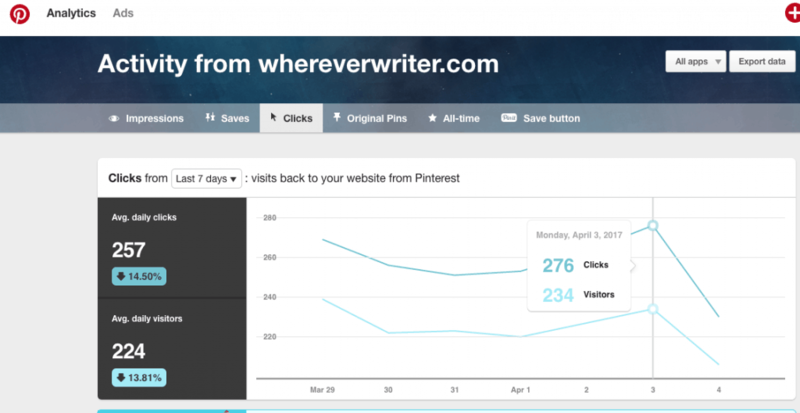 Is that the case with Pinterest Traffic Avalanche as well? I saw you mentioned that they don’t believe in the 80/20 rule of pinning. So not sure effective it will be for me at this point. 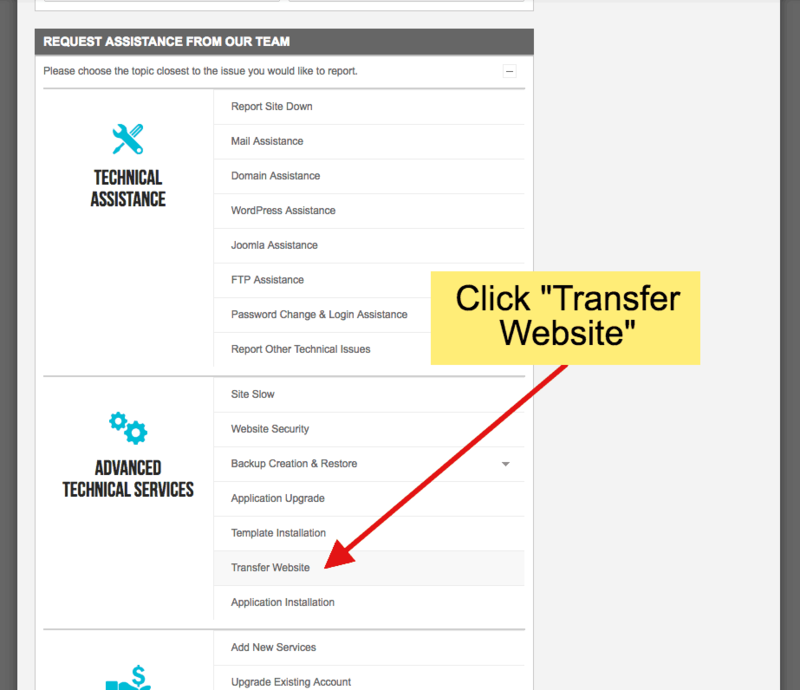 Do you know if there is still a 60 day guarantee with PTA? And advice you can give would be greatly appreciated so I can make this decision. Thanks! – From what I’ve heard recently with Pinterest’s algorithm update and all, deleting boards and pins (even if they’re not doing well) is NOT recommended. Alternatively, if you want to keep your personal pins but don’t want them to be public, you can transition those boards to “Secret” boards. Problem solved! – Regarding budget, I TOTALLY understand what it’s like to be on a tight budget and not have money to spend on courses. That’s going to have to be your call. I would just say, NEVER feel pressured to spend money on your blog. 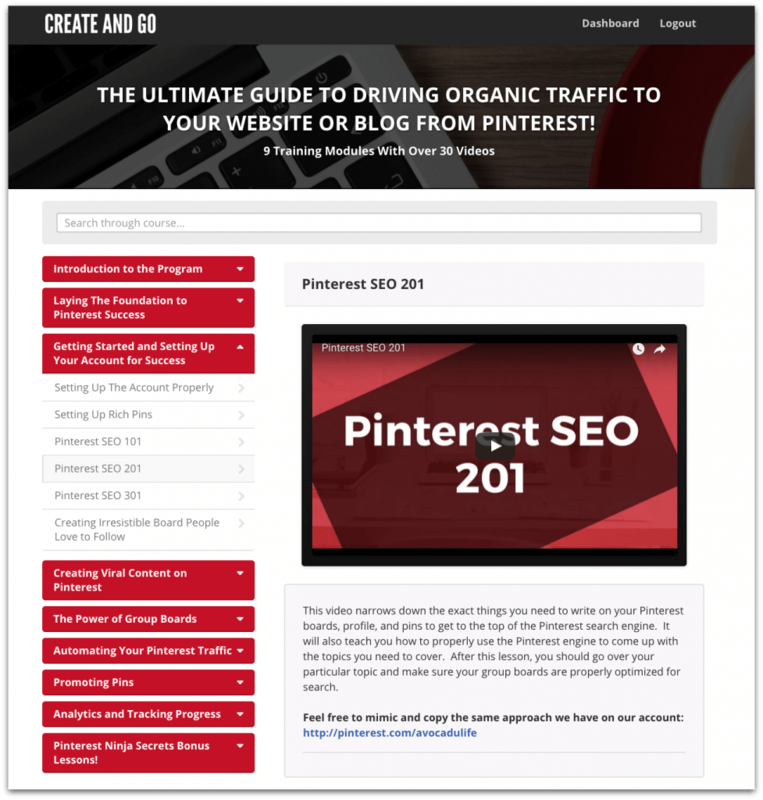 If you can’t afford a course right now, then I recommend reading as much of the free Pinterest content on createandgo.co as possible (that’s the website of the creators of Pinterest Traffic Avalanche). Obviously I’m a huge fan of Pinterest Traffic Avalanche. But here’s my general advice: If you have limited money to invest in your blog right now, ask yourself, “What’s my priority here?” For example, are you trying to boost traffic fast? In that case, investing in Pinterest is a good idea. Or are you trying to increase your affiliate income? In that case, you might wanna check out Create and Go’s other courses on blog monetization. Determine your #1 goal so you can know where best to allocate your resources right now. Lastly, determine what you *can* afford. For example, if a blogger has to charge their credit card in order to buy a course, I wouldn’t recommend buying that course because that would put them in debt. I hope that helps! If you have any other questions, please let me know! Thanks so much! I am trying to determine my biggest priority at the moment. Because I have a new blog, I have no traffic yet. I am patiently waiting for Google to rank my site. I do plan on using affiliate marketing but without any traffic, those links are useless. That is why I was thinking this course could get some traffic to my site and then the affiliate marketing would grow as a result. Does that sound like the best plan? Heidi, you are SO SMART. I actually have a free email course on blog monetization where I say that you NEED traffic before you can really get serious about monetization. I also love SEO, and I think it’s the best long-term solution to traffic. Pinterest, though, is way faster, so I recommend focusing on those 2 aspects at the same time and then wait for Google to rank you. In the meantime, Pinterest can send a good chunk of traffic! So yes, I do think your plan is awesome. ?? Thank you so much! I really appreciate your help. I’m thrilled I do not have to delete Pinterest boards by the way! The “secret” board idea is genius! I will check out your free email course as well. I have decided to take the plunge! I cannot wait to start this program and want to thank you for all your help! Next article How to Start a Blog on SiteGround and Make Your First $1K Blogging!